Between hurricane check-ins and new marina partner onboardings, we almost forgot to give you the heads up on a cool new feature we rolled out a week or so ago. It's not a new concept: Just as when you stay at a hotel and have a drink at the lobby bar or nab a snickers out of the fridge in the dead of night, you have the option to put those items on your hotel bill. 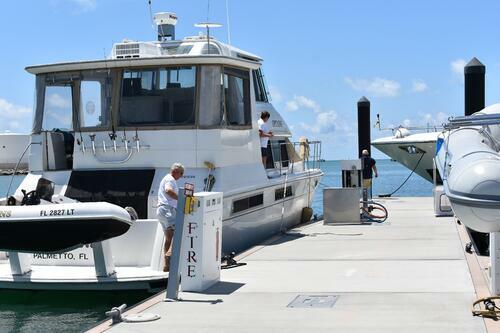 Similarly, now when you need ice, fuel, electric, etc, during a stay at a marina that you booked at through Dockwa, you may have the option to add those items added to your Dockwa reservation. "Put it on my Dockwa tab" – it's so fast to say! Try it! Super fast. We're more than happy to walk them through the process, or jump in if they have questions during set-up (or anytime, for that matter). Marina managers and staff can click here to schedule a call. We're working with a few dozen marinas now, and anticipate a bit of a ramp-up period. Know a marina that could use this? Let them know! Marinas only hear what you want when you make yourself heard.